Carcolors 21: I have neglected the 1 peek posts during the last week because I was busy writing other blog posts. I like the simplicity of this diagonal carcolor composition in grey and the yellow sickle that adds a spot of color. 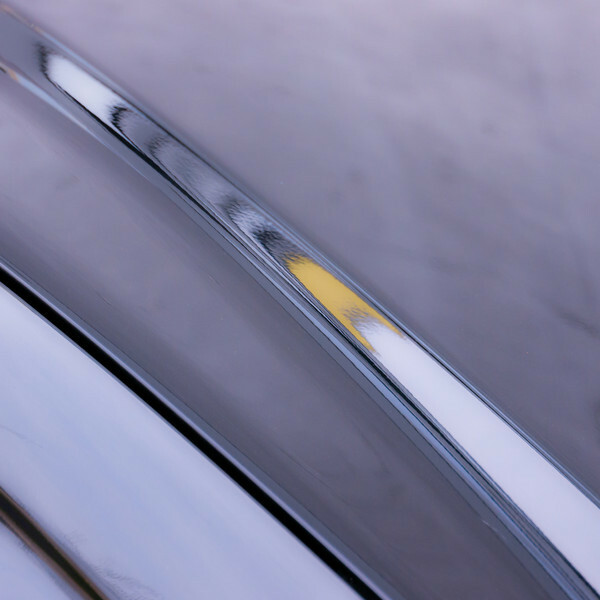 It is mainly different shades of "concrete reflections" on a shiny dark car. Many more carcolor compositions have been shown in earlier posts HERE and the photographs themselves can be seen in the Carcolors gallery. Moderation: Panasonic G5 or G6/G7?